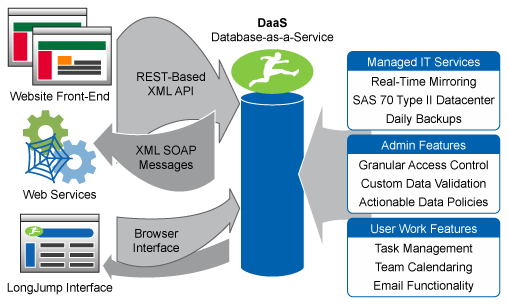 Database-as-a-service (DaaS) is a new paradigm for data management in which a third party service provider hosts a database as a service. The service provides data management for its customers and thus alleviates the need for the service user to purchase expensive hardware and software, deal with software upgrades and hire professionals for administrative and maintenance tasks. Since using an external database service promises reliable data storage at a low cost, it represents a very attractive solution for companies specially startups. Examples of DaaS solutions include Amazon RDS and Google Cloud SQL. The below figure illustrates the idea of the DaaS paradigm.